You know what the number one rule for Fight Club is? “Don’t talk about fight club.” Well I’m about to break that rule, because I have to tell y’all about this boxing studio. 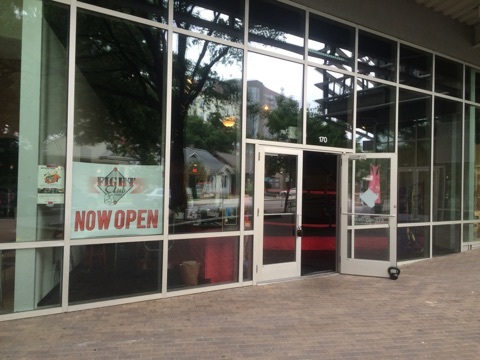 Omni Fight Club is located in West Campus of The University of Texas on Rio Grande. 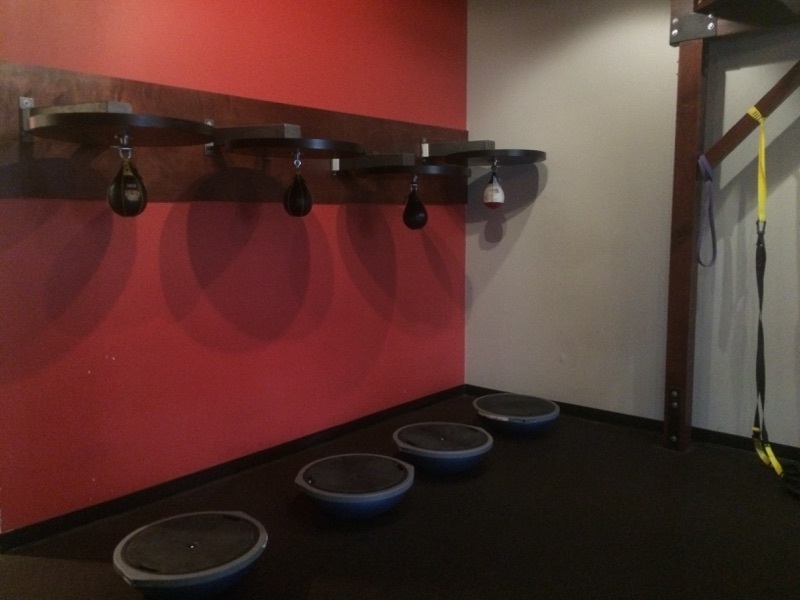 It’s a boxing studio that has really taken off since opening it’s doors in March of 2014. If you have ever wanted to try boxing, this is a great studio. They offer classes starting at 7am and the last class ends around 8pm on most days during the week. The studio also offers their own hand wraps that you wear each class, so you won’t need to go out and buy your own (and yes, they are cleaned after EVERY CLASS!) They keep the studio very clean and it never smells like a sweaty gym. Most of the people that attend Fight Club are UT college students, because it’s right smack dab in the middle of University living. But don’t let that defer you from going! Everyone is so friendly and it truly is a great workout. I always come out drenched after each class. As for the classes themselves, the routines vary by instructor but are all based on the principle of interval/circuits training. Each class has four parts to it; the warmup, the circuits training, the ab circuit, and the cool-down/stretch session. In the class I attended today, it began with punching the heavy bag for a minute, followed by pushups for a minute, back to heavy bag, and finished with mountain climbers. Then we got into the circuit portion of the class, which not only works your cardiovascular stretch, but muscle strength as well (which together burns tons of calories than either one alone). The circuits are 6-8 minutes long with 6-8 different exercises in each. If you can do the math, that’s a minute per exercise. And we do about 3 rounds of the 6-8 minute circuits. The exercises include using the speed bag, bosu ball burpees, free standing bags (for kicking), surfer jumps (basically a squat jump on steroids), heavy bag work, sandbag squat slams, and anything else those instructors want to throw at you. What I like most about these classes is that you get a great cardio workout, and also a great strength training workout by doing exercises involving other equipment and weights. They mesh boxing with strength and it works so well! I can definitely tell a difference in my overall strength and stamina. This is a boxing/kickboxing class so of course they keep it geared towards that, but they also challenge you to push yourself in other areas to keep your muscles guessing; which in turn keeps you from hitting a plateau in your exercise goals! No matter your exercise experience, anyone can attend and it’s a great class to get you started to becoming a fit, fighting machine! Downtown: 222 Rio Grand Suite 170, Austin, TX 78705COST: First Class Free; more pricing; ClassPass and StudioHop Accepted! ABOUT: Omni Fight Club is a 60-minute long cardio kickboxing class for achieving ultimate results. 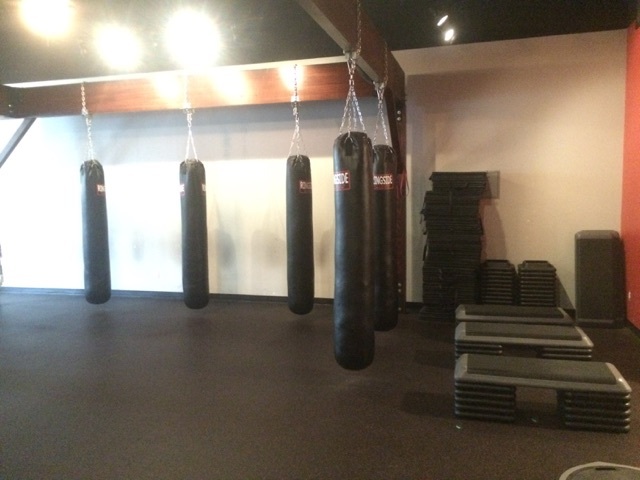 Every session is infused with an energetic kickboxing/boxing flavor. TIP: Expect to burn 700-1000 calories per class! Gloves and wraps provided, or bring your own.